With such a wide range of fencing products I’m sure we can find a style to suit you. There are many panels to choose from to fit any budget such as cap panels, close board and more decorative panels such as elite range with built in trellis with curved tops. 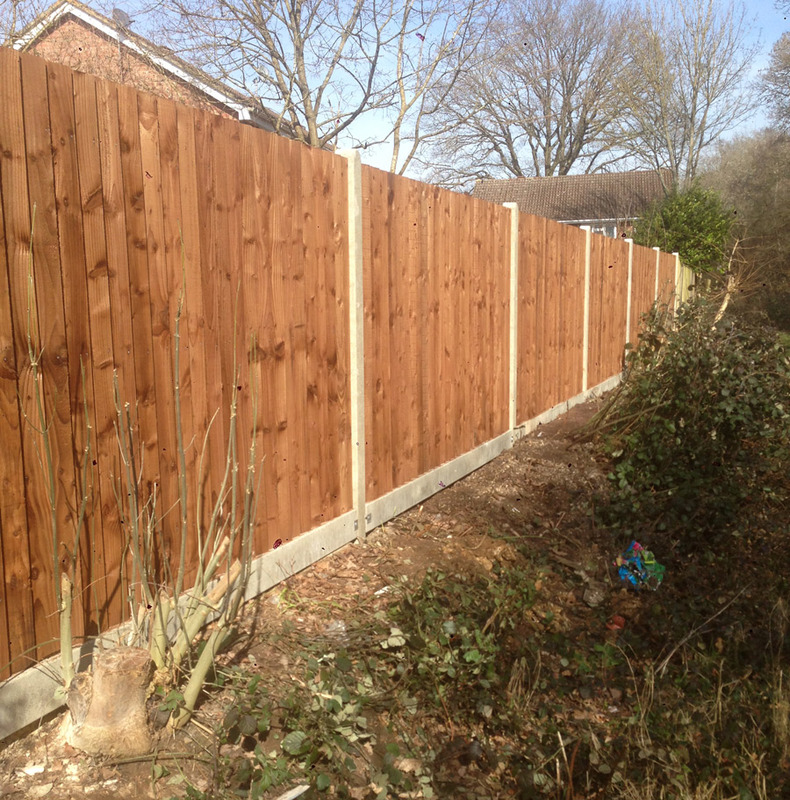 Panels come in various sizes, height ranges from 3 to 6 ft.
We also provide a more sturdy close board bay fencing which is constructed from post 3 arris rails and feather edge slates post and gravel board. Can either be timber or concrete. All fence posts are concreted into the soil to a minimum depth of 2 feet for maximum stability. There are so many timber products to add to your fence such as post caps, trellis and many styles of gates.